Relemac Technologies Private Limited provides integrated cabling solutions for varied applications ranging from domestic wiring to complex industrial automation requirements. Our portfolio of products comprises of cables for domestic, industrial, distribution, communication, instrumentation and solar applications. Our cables are manufactured on state of the art machinery using the best available raw materials. Our manufacturing processes have been so regulated to minimise manual interference incorporating the best in-process control equipment thereby reducing the scope of manual errors. 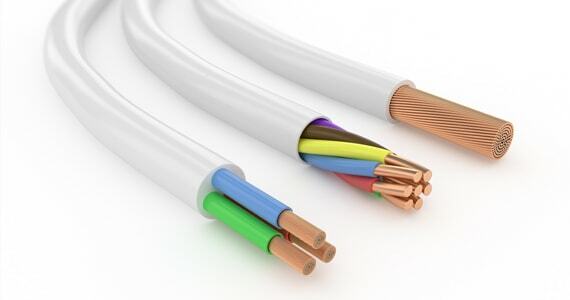 Suitable for a variety of applications, our Cables are highly sought after by the Power, Oil, Gas, Petrochemical, Fertilizer, Cement, Steel, Medical, Automotive and Electronics industries, while finding extensive usage in Railways, Telecommunications and Commercial/Residential buildings. Consistency of Product Quality along with affordable pricing makes our products an ideal choice for the user. This trait has been well accepted and utilised by our users and it reflects in the exponential growth of our company and products. Amongst all our equals what gives us the edge over our competitors is the advanced designing of our product. We believe in the adage of providing an adequate and not an extravagant product. Our design incorporates the usage of raw material with high conductivity, low resistance, extremely high dielectric strength for protection of the user, high ageing properties which makes our product usable over a very long period of time and a physically sturdy material which can be used in the most extreme climatic conditions. The sincerity of our purpose has resulted in the acceptance of our product for a wide ranging application over a very broad spectrum of users and this encourages us to strive even harder.